AUSTIN, TX (April 29, 2016) – The American Association of Nurse Practitioners (AANP) and other leading nursing organizations announced today a new educational series to combat opioid abuse, encourage safe prescribing practices, and ensure patients with pain still maintain access to necessary pain relief. The educational commitment brings together the leading nursing organizations serving the profession, including AANP, the American Association of Colleges of Nursing (AACN), the American Association of Nurse Anesthetists, the American College of Nurse-Midwives, the American Nurses Association, the National Association of Clinical Nurse Specialists, and the National Organization of Nurse Practitioner Faculties. Participating organizations will educate nursing faculty, students, and clinicians across the continuum of APRN education and training about the Centers for Disease Control and Prevention's Guideline for Prescribing Opioids for Chronic Pain. News of this commitment will be shared at a White House event. 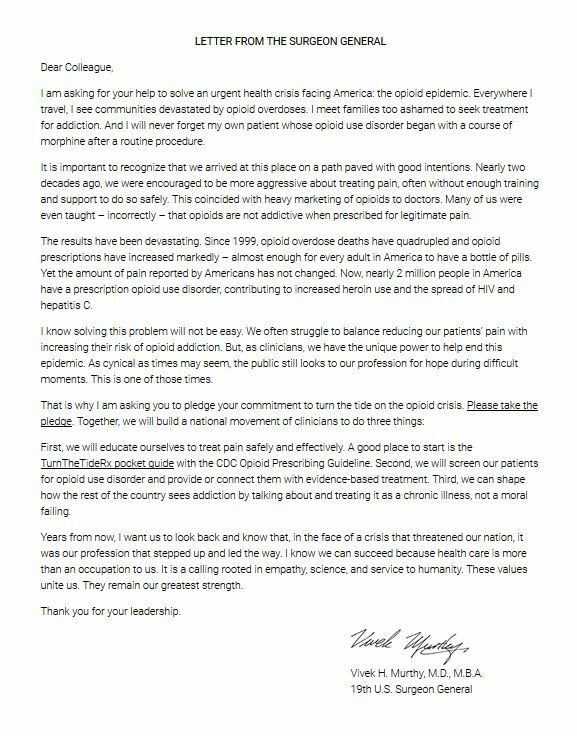 "Our joint commitment reaffirms AANP's dedication to promoting evidence-based standards for opioid abuse prevention and education, while recognizing the need for patients suffering from chronic and acute pain to access essential pain care," said AANP President Cindy Cooke. The updated CDC guidelines augment NPs' existing requirements for advanced education on opioid prescription. As part of its commitment, AANP is providing more than 30 hours of continuing education through the AANP CE Center, a live webinar, and two dedicated pain management tracks at its national and specialty conferences for nurse practitioners in 2016. Today's announcement is linked to the White House Champions of Change event, which will highlight ten individuals who have made a difference in advancing prevention, treatment, and recovery. AANP will be participating in today's proceedings. This guideline provides recommendations for primary care clinicians who are prescribing opioids for chronic pain outside of active cancer treatment, palliative care, and end-of-life care. The guideline addresses 1) when to initiate or continue opioids for chronic pain; 2) opioid selection, dosage, duration, follow-up, and discontinuation; and 3) assessing risk and addressing harms of opioid use. CDC developed the guideline using the Grading of Recommendations Assessment, Development, and Evaluation (GRADE) framework, and recommendations are made on the basis of a systematic review of the scientific evidence while considering benefits and harms, values and preferences, and resource allocation. CDC obtained input from experts, stakeholders, the public, peer reviewers, and a federally chartered advisory committee. It is important that patients receive appropriate pain treatment with careful consideration of the benefits and risks of treatment options. This guideline is intended to improve communication between clinicians and patients about the risks and benefits of opioid therapy for chronic pain, improve the safety and effectiveness of pain treatment, and reduce the risks associated with long-term opioid therapy, including opioid use disorder, overdose, and death. CDC has provided a checklist for prescribing opioids for chronic pain (http://stacks.cdc.gov/view/cdc/38025) as well as a website (http://www.cdc.gov/drugoverdose/prescribingresources.html) with additional tools to guide clinicians in implementing the recommendations. For the complete guideline, click here. 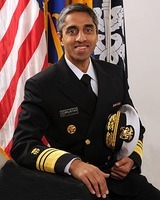 For the Surgeon General's pocket guide, click here. We did a search on the word "opioid" on the Maine CDC website and came up with a range of topics which you can see by clicking here.